New comics are due to hit the shelves on Wednesday so here’s a look ahead at some of the books we’ll be picking up this week. Andy H: Oh dear. This week is a bit short on new comics as bad weather Stateside has meant a number of titles didn't make it in time to catch the plane to the UK. So, sadly, no new Image books this week. Dark Horse only have Fight Club 2 #9 and there are a few gaps from IDW. Luckily Marvel and DC made the departure gate in time, so there are still have some books to look forward to. 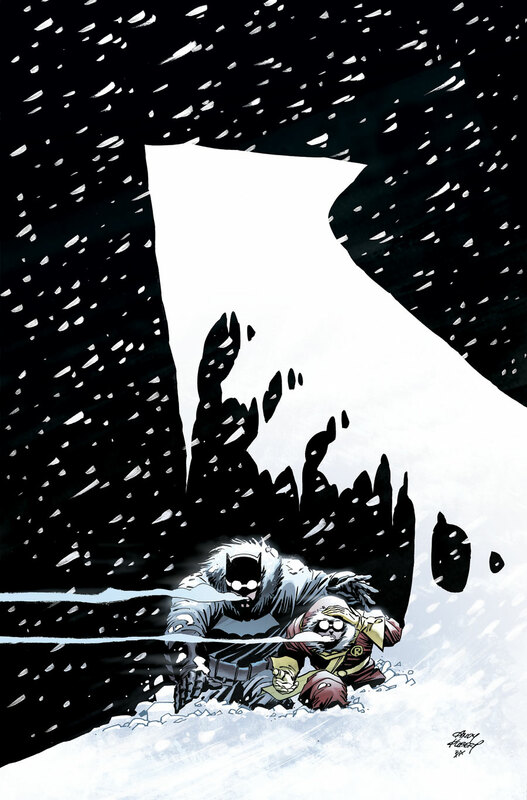 Dark Knight III: The Master Race #3 has been delayed from the beginning of this month (not by the weather!) and now appears this Wednesday. I, and - from what I hear - a lot of people have been pleasantly surprised thus far with this outing for the Dark Knight. 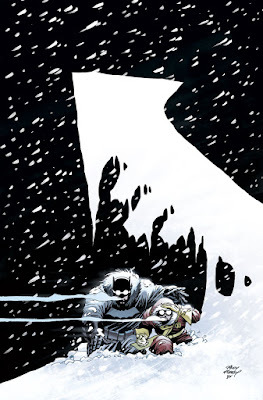 Capturing the right tone of the original series, Brian Azzarello and Andy Kubert are taking us on a suitably dark ride and I think it's possible we'll see the introduction of more hero types in this issue. All-New All-Different Avengers #6 sports another great Alex Ross cover paying a perfect homage to a cover from yesteryear. It's the final part of the first story arc and as ever Mark Waid has done a sterling job as writer of this new, young team of Avengers. Another long delayed title is Karnak #2. After a strong debut way back in October we can finally catch up with the titular Inhuman as Warren Ellis and Gerardo Zaffino continue to take a fresh look at Karnak and more than likely take the story in directions we didn't see coming. Bart Simpson Comics hits the century mark this week. I'm sure the Simpsons aren't quite as popular as they were back in the day but all credit to it's phenomenal endurance for lasting this long. Bart Simpson Comics #100 is the final issue of this series (for now) and it's going out in style with a 48-page special. So, plenty to still pick up this week, but just remember: for those of us in the UK they'll be two weeks worth of Image comics next week! Matt C: Curse you, the weather! There I was, expecting to write about my excitement at getting my hands on Black Magick #5, The Goddamned #3, Outcast #16 and Saga #34 and then I learn some sort of meteorological mishap has meant those books are stuck on the other side of the Atlantic! My wallet gets a break of sorts for one week only then, with Dark Knight III #3 and Karnak #2 being the obvious highlights, and the enjoyable if unremarkable Kanan #11 and the 'I've started so I'll finish!' Fight Club 2 #9 rounding things off. I'm already bracing myself for next Wednesday's delivery! !